Imagine yourself beginning each weekday morning or afternoon in our cozy, home-like kindergartens, assisting our youngest children on their daily explorations of the world through walks in the community, playtime in the garden, ring-time, preparing healthy, family-style meals and maintaining a beautiful environment for children to freely play, sleep and grow. We are currently looking for two warm, loving, mature adults who can picture him or herself deepening their understanding of child development and Waldorf education. AM Assistant hours are 7:45-1:15 M-F. The PM Assistant job is from 11:20-3:20 M-F. Both positions require weekly and bi-monthly meetings, opening and closing school year workdays and assisting with our mid-winter/springtime Kindergarten Mornings, welcoming new families into our school community. If you are our ideal candidates, please contact Amy Hazell, Administrative Chair, to inquiry and apply for either the AM or PM Kindergarten Assistant jobs, which will be available for the 2019-20 school year. Interviews will begin in April. Growing for Good in Viroqua, WI seeks an experienced Greenhouse Grower to begin immediately. The Greenhouse Grower will join a small management team and oversee several growing projects such as: contract growing (microgreens, geraniums, vegetable starts, etc.) and attending to year round plants for retail, wholesale and spring garden center. Experience in medium/moderate scale growing and greenhouse management required. Knowledge of Midwestern native plants, climate and growing season preferred. The right candidate must possess clear written and verbal communication skills. Growing for Good is a social and economic enterprise of the Pleasant Ridge Waldorf School. Our mission is to nourish beauty, educate the community and cultivate a just and resilient local food system. Visit Growingforgood to learn more about our other projects, like city-wide compost collection and education for children and community members. Viroqua is becoming widely known for being a hub for the food culture, organic growing, and innovation in organic/growing-related enterprises in Southwest Wisconsin. This is an exciting time to be in Viroqua and to join our business. If you are interested in teaching in an established school (Since 1980) rooted in a rural farming community in southwest Wisconsin, we invite you to visit us. The city of Viroqua, population 4,400, is a county seat, lively and bustling with fresh ideas and enterprises, and Pleasant Ridge Waldorf School is in the heart of town. We are 90 miles west of the state capital of Madison, 35 miles south of the Mississippi River city of La Crosse, and 190 miles south of the Twin Cities in Minnesota. We are within driving distance of Waldorf schools and initiatives in Chicago, Minneapolis, Madison, La Crosse and the Milwaukee area. In our community there are excellent alternatives in medical and health care, a strong food co-op and farmers market, organic and biodynamic farming, and a Waldorf high school initiative. We enjoy a high quality of life combined with a cost of living somewhat lower than in metropolitan areas. For more information, we encourage you to visit our Viroqua website page. Pleasant Ridge Waldorf School offers a full early childhood program, with two mixed-age kindergartens with three and five day options with a maximum or 30 children and three 8-week sessions of parent-child classes. Our elementary program is supported by subject classes which include Spanish, Handwork, Choral and Instrumental Music, Eurythmy, and Physical Education. We have a school garden and encourage community service projects. Additional programming includes Aftercare, Enrichment Days and Summer Camps. 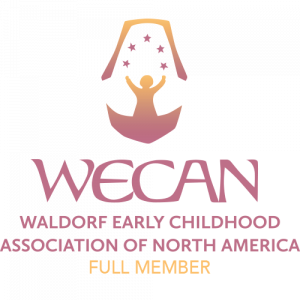 Pleasant Ridge Waldorf School is a full member of AWSNA (Association of Waldorf Schools of North America). Our building and campus were purchased in 1995 and include our Old Main Building, Wooded Acre and Growing For Good www.growingforgood.org. We offer an organic hot lunch program Monday through Thursday and work with a balanced budget. For 2018-19, salaries are derived from a full-time base salary of $23,000 – $27,000. Benefits include tuition remission, hot lunch, a professional development stipend, and accident insurance. We seek and engage mentors as needed to support our faculty and staff. We have enjoyed mentoring relations over the years with Helle Heckmann, Kim John Payne, Dr. Mark Kamsler and Leo Klein. Other visitors we’ve welcomed include Bart Eddy, Dennis Klocek, John Bloom, Christopher Houghton Budd, Richard Dancy, Else Goettgens, Marianne Gray, Kim Snyder-Vine, Michael D’Aleo, Chris Selkely, Nancy Poer, Kristen Rice, and Christopher Schaefer. -interest in sharing Waldorf education with the broader community. Pleasant Ridge Waldorf School does not discriminate in the employment practices on the basis of race, ethnicity, religion, national origin, gender, age, marital or family status, disability or any other basis prohibited by federal, state or local law. For a detailed job description and application form, see our open positions and links above. We ask that applications include your resume, a handwritten cover letter, a short biography, and references from at least three people, including previous employers and someone who has observed your work with children. Applications should be addressed to the Personnel Committee. Please address any questions to our Administrative Chair at 608-637-7828 or via email contact. Please keep us in mind in your travels and contacts.